The American military doesn’t have a strategy; it has an itinerary. The United States is a peculiar sort of empire. As a start, Americans have been in what might be called imperial denial since the Spanish-American War of 1898, if not before. Empire—us? We denied its existence even while our soldiers were administering “water cures” (a k a waterboarding) to recalcitrant Filipinos more than a century ago. Heck, we even told ourselves we were liberating those same Filipinos, which leads to a second point: The United States not only denies its imperial ambitions, but shrouds them in a curiously American brand of Christianized liberation theology. In it, American troops are never seen as conquerors or oppressors, always as liberators and freedom-bringers, or at least helpers and trainers. There’s just enough substance to this myth (World War II and the Marshall Plan, for example) to hide uglier imperial realities. Denying that we’re an empire while cloaking its ugly side in missionary-speak are two enduring aspects of the American brand of imperialism, and there’s a third as well, even if it’s seldom noted. As the US military garrisons the planet and its special operations forces alone visit more than 140 countries a year, American troops have effectively become the imperial equivalent of globetrotting tourists. Overloaded with technical gear and gadgets (deadly weapons, intrusive sensors), largely ignorant of foreign cultures, they arrive eager to help and spoiling for action, but never (individually) staying long. Think of them as the 21st-century version of the ugly American of Vietnam War–era fame. Call it Imperial Tourist Syndrome, a bizarre American affliction that creates its own self-sustaining dynamic. To a local, it might look something like this: US forces come to your country, shoot some stuff up (liberation! ), take some selfies, and then, if you’re lucky, leave (at least for a while). If you’re unlucky, they overstay their “welcome,” surge around a bit and generate chaos until, sooner or later (in places like Iraq and Afghanistan, much, much later), they exit, not always gracefully (witness Saigon 1975 or Iraq 2011). As tourists, they’re also alert to the possibility that on this particular imperial safari some exotic people may need shooting. There’s a quip that’s guaranteed to win knowing chuckles within military circles: “Join the Army, travel to exotic lands, meet interesting people—and kill them.” Originally an anti-war slogan from the Vietnam era, it’s become somewhat of a joke in a post-9/11 militarized America, one that quickly pales when you consider the magnitude of foreign body counts in these years, made more real (for us, at least) when accompanied by discomforting trophy photos of US troops urinating on enemy corpses or posing with enemy body parts. It’s all so tragically predictable. When it’s imperial tourists against foreign “terrorists,” guess who wins? No knock on American troops. They have no shortage of can-do spirit. They fight to win. But when their imperial vacations (military interventions/invasions) morph into neocolonial staycations (endless exercises in nation-building, troop training, security assistance, and the like), they have already lost, no matter how many “having a great time” letters—or rather glowing progress reports to Congress—are sent to the folks back home. It was a dynamic already obvious five decades ago in Vietnam: a ticket-punching mentality that involved the constant rotation of units and commanders; a process of needless reinvention of the most basic knowledge as units deployed, bugged out, and were then replaced by new units; and the use of all kinds of grim, newfangled weapons and sensors, everything from Agent Orange and napalm to the electronic battlefield and the latest fighter planes and bombers—all for naught. Under such conditions, even the US superpower lacked staying power, precisely because it never intended to stay. The “staying” aspect of the Vietnam War was often referred to in the United States as a “quagmire.” For the Vietnamese, of course, their country was no “big muddy” that sucked you down. It was home. They had little choice in the matter; they stayed—and fought. Combine a military with a tourist-like itinerary and a mentality to match, a high command that in its own rotating responsibilities lacks all accountability for mistakes, and a byzantine, top-heavy bureaucracy, and you turn out to have a surefire recipe for defeat. And once again, in the twenty-first century, whether among the rank and file or at the very top, there’s little continuity or accountability involved in America’s military presence in foreign lands. Commanders are constantly rotated in and out of war zones. There’s often a new one every year. (I count 17 commanders for the International Security Assistance Force for Afghanistan, the US-led military coalition, since December 2001.) 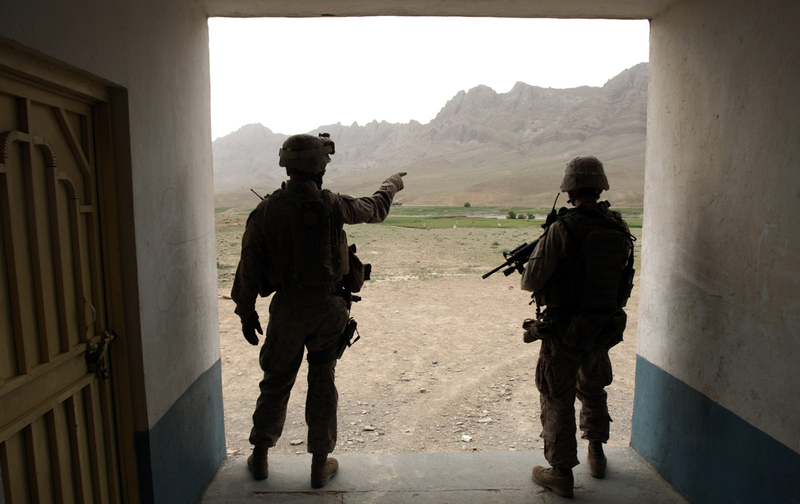 US troops may serve multiple overseas tours, yet they are rarely sent back to the same area. Tours are sequential, not cumulative, and so the learning curve exhibited is flat. True enough. In Afghanistan and Iraq as well, the United States has fought sequentially rather than cumulatively. Not surprisingly, such sequential efforts, no matter how massive and costly, simply haven’t added up. It’s just one damn tour after another. But the fictional Saul’s tagline on Afghanistan is more suspect: “I think we’re walking away with the job half done.” For him, as well as for the Washington establishment of this moment, the United States needs to stay the course (at least until 2017, according to President Obama’s recent announcement), during which time assumedly we’ll at long last stumble upon the El Dorado–like long-term strategy in which America actually prevails. In other words, a sustainable long-term strategy for Afghanistan is precisely what the US government has failed to produce for 14 years! Why should 2015 or 2017 or 2024 be any different than 2002 or 2009 or indeed any other year of American involvement? At some level, the US military knows it’s screwed. That’s why its commanders tinker so much with weapons and training and technology and tactics. It’s the stuff they can control, the stuff that seems real in a way that foreign peoples aren’t (at least to us). Let’s face it: past as well as current events suggest that guns and how to use them are what Americans know best. But foreign lands and peoples? We can’t control them. We don’t understand them. We can’t count on them. They’re just part of the landscape we’re eternally passing through—sometimes as people to help and places to rebuild, other times as people to kill and places to destroy. What they aren’t is truly real. They are the tourist attractions of American war making, sometimes exotic, sometimes deadly, but (for us) strangely lacking in substance.